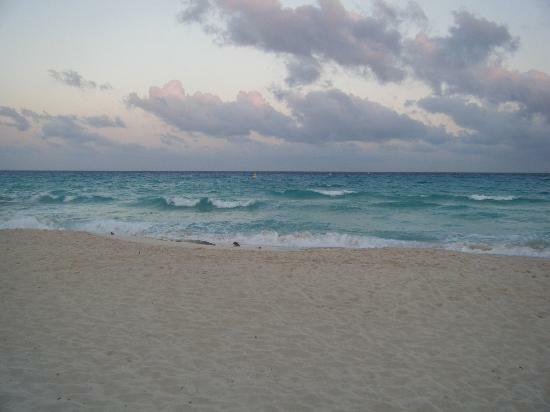 Beach Photos 2 is inclusive of photos straight from the Riviera Maya at Playacar Beach and Puerto Morelos Beach. Click on the picture to see a larger version. 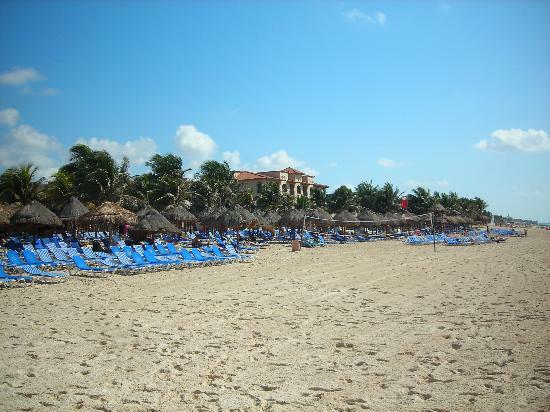 Playacar Beach: The beautiful Playacar Beach with lots of beach and clear waters. 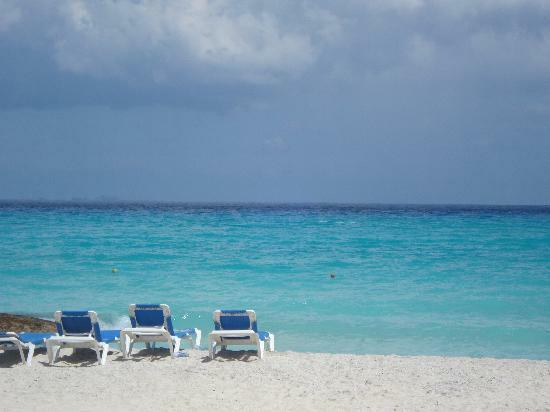 Playacar Beach: Blue beach chairs line the ocean shore to enjoy the sun and take in it's beauty. 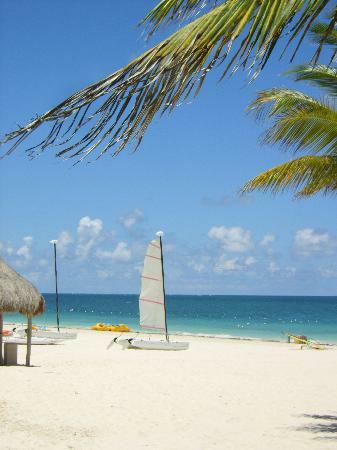 Playacar Beach: This scene is just picturesque! Believe it or not, it's all real! This is Playacar beach. 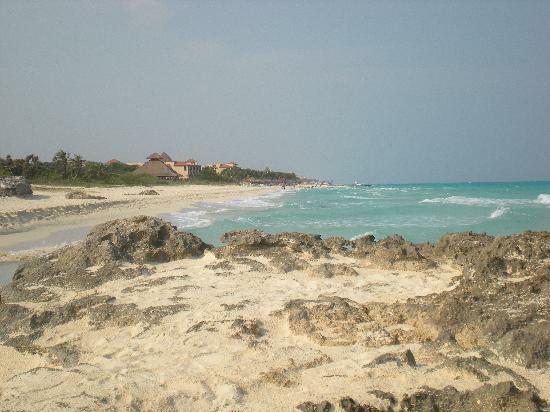 Playacar Beach: Some areas of Playacar are rocky and just beautiful! You can climb and enjoy a breathtaking sunset. 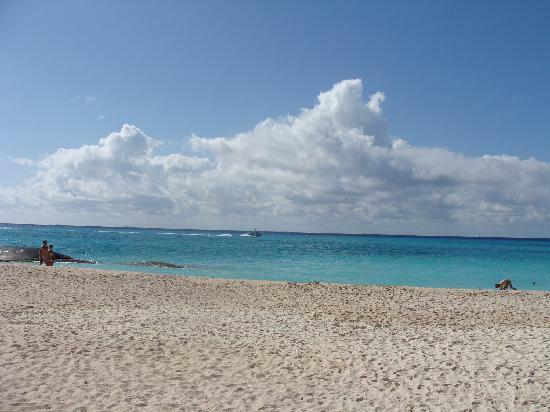 Playacar Beach: The waters truly are this blue and clear. You can see the bottom as the ocean floor is sandy. It's great for snorkeling. Playacar Beach: You can catch a few waves on the right day. So get your boogie board and head for the waters. 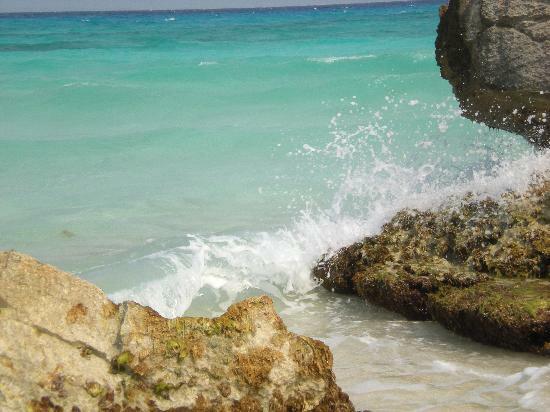 Playacar Beach: You can find some large rocks on this beach and sit and enjoy the view as they crash beneath you. 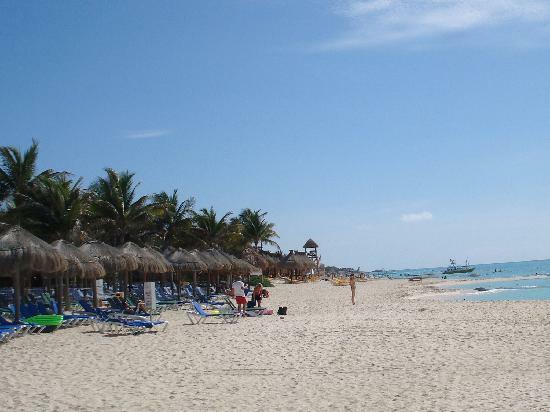 Puerto Morelos Beach: Check out this beach! 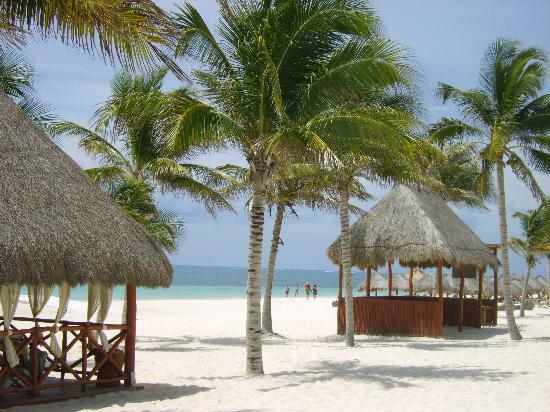 Puerto Morelos Beach: The waving palms and crystal waters make the Caribbean! Find a hammock and relax. 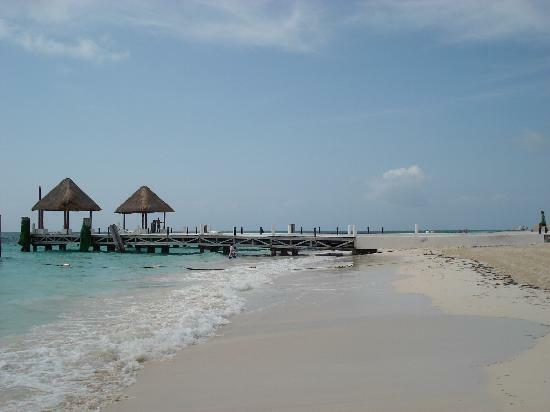 Puerto Morelos Beach: The Pier at Puerto Morelos Beach is pretty long so you are right out with the ocean. 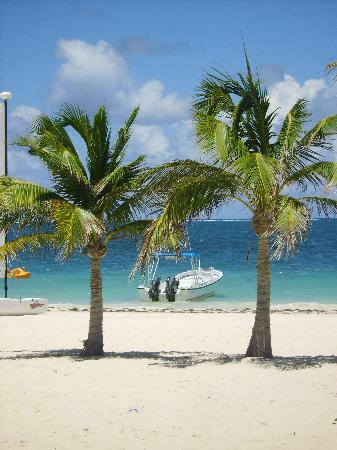 Puerto Morelos Beach: Definitly take a sailboat or catamaran ride out in the ocean! 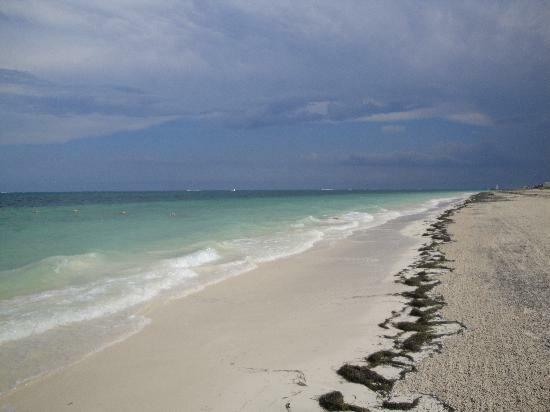 Puerto Morelos Beach: The beaches are wide and check out the sand! 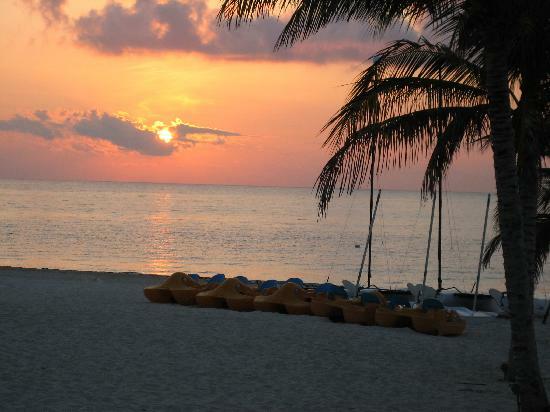 Puerto Morelos Beach: Watch the sunset from the beach with your loved one.